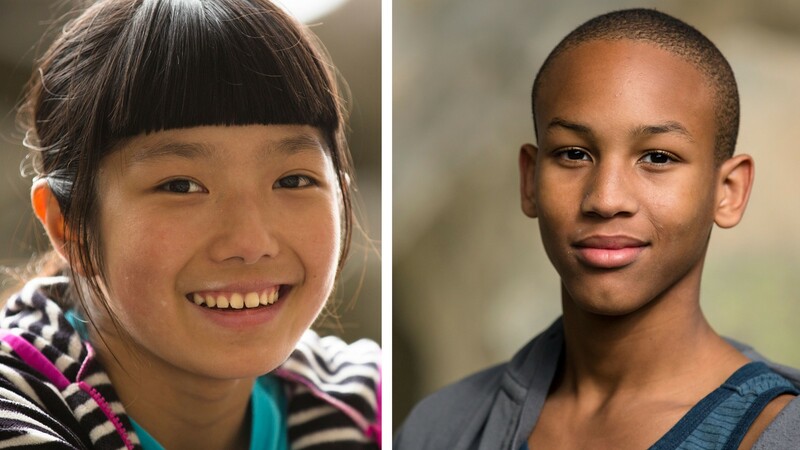 Ashima Shiraishi and Kai Lightner are two of the youngest athletic prodigies out there. At 14 and 15 years of age, their climbing skills have already made an imprint at a national level. We talked to the athletes AND their parents for honest answers about how they balance rigorous training schedules with academics and friends. It isn’t easy, but as these climbers and their families agreed, it’s definitely worth it. What are some of your favorite things to do outside of climbing? Ashima: I love all sorts of random things, but I love to bake, drink hot chocolate with friends and listen to music. I’m also a huge foodie. Kai: I usually don’t have a lot of time to do other things. My preferred activity outside of my normal schedule is sleep. In addition to that, I like hanging out with my friends, usually at the climbing gym. I used to be on the forensic and speech teams in middle school, and I also did plays and book clubs. What music do you listen to, to get motivated before a climb? Ashima: Maybe it’s because I’m from NYC, but I like to listen to rap before I get on the wall. Kai: Anything with a good beat and a catchy tune. Usually this includes pop, EDM, or rap music. Some of my favorite songs include Powerful by Ellie Goulding and Hotline Bling by Drake. These songs get me pumped up and ready to climb. What’s one strength that you admire in each other? Kai: Ashima has a level of focus and determination like few people I know. A lot of times, people underestimate her abilities, and don’t understand how capable she is. However, I know that whenever she is locked in on a project, she is most likely going to do it. Who are some of the athletes you look up to and why? Ashima: There are many athletes who I idolize, but Michael Jordan is someone who I have always looked up to. He inspires me to keep onlooking up even at the toughest times. Kai: I really look up to climbers like Chris Sharma, Sean McColl, and Sasha Digiulian. They are my role models, not only because of how well they climb and their accomplishments, but also because of how they conduct themselves in public. They are always really professional in everything they do, and that motivates me to conduct myself in the same manner. 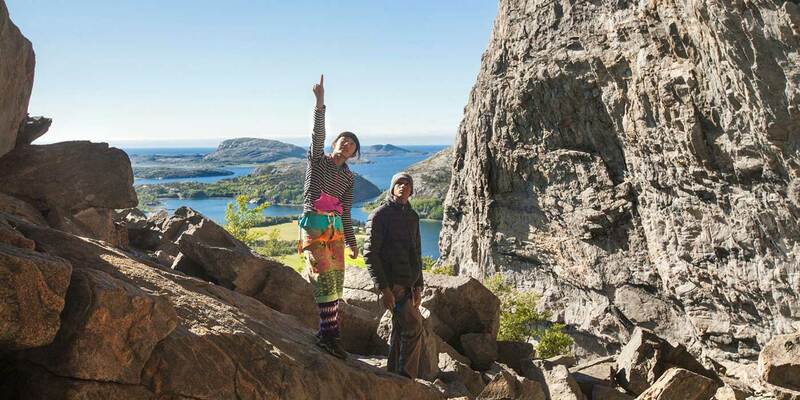 Ashima: I’m looking forward to my future outdoor trips and competitions! In a few years, I will be able to compete in the world cups, which is exciting! My plan is to continue bouldering and sport climbing, but maybe I’ll try some different disciplines of climbing. Kai: Next year, I really want to be able to do well in world cups and learn how to succeed in on the international stage, at all levels. Outdoors, I want to take off my first semester of my senior year to travel around the world and hopefully climb my first 9a+ route. Since I am ahead of schedule with my high school credits, I can technically take off a semester and still remain on track to graduate with my class. Do you personally climb or have any experience with it? Poppo Shiraishi: I occasionally climb with Ashima. Connie Lightner: I can climb a mean V1, grunting and all. That’s the extent of my climbing experience. Climbing has always been Kai’s thing. I’m a professional belayer. How did your child get into climbing? 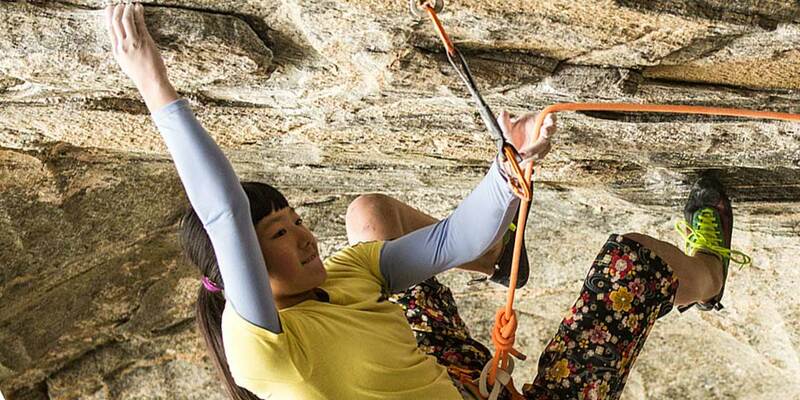 Poppo: When Ashima was 6 years old, she discovered climbing in Central Park. She was playing on the playground and began climbing on the rock next to it. Connie: Right before Kai’s 7th birthday, someone saw me coaxing him down from a tall flag pole that he had climbed and told me to consider getting him into rock climbing. Shortly thereafter, I brought him to a local climbing gym, The Climbing Place, and that turned out to be a great decision for both of us. How do you encourage them as a parent? 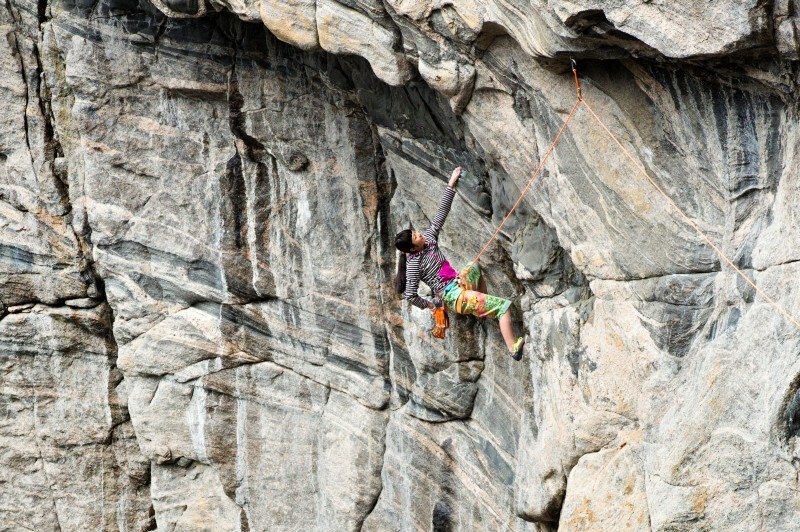 Poppo: Ashima has always been a very motivated climber. Even when she falls, she always looks up. But when she is having a hard time on a climb, I remind her that the harder the climb and more work you have to put into it, the more satisfying it feels when you do it. Connie: When Kai was younger, he trained 3 days a week. We agreed that one of those days would be more of a hang out, play day with his friends at the gym. Now he trains 5 days a week. He plans hang out time before he begins training, during breaks, and after training. Kai selects his own events and travel schedule. He is outgoing so he has friends everywhere and maintains a pretty good balance of fun and focus. How do you help your child balance school and athletics? Do you prioritize one over the other? Poppo: Ashima is a very busy girl and I don’t know how she manages to do so many things, but I help her by forming a schedule for her. I think that right now, school, climbing and sleep are all very important for her. Connie: I grew up in a poor school district and education was the way out. For this reason, I place extreme value on education. Kai understands our history and he has also adopted high academic standards for himself. I have learned to accept that climbing is also equally important to him. Right now he excels at both. However, we realize that maintaining a demanding school schedule, undoubtedly limits him from climbing to his potential. There is only so much that you can accomplish on occasional weekend trips, but he does his best. Since Kai wants to attain a college degree, once he secures significant scholarships for college, I will completely support him temporarily switching his focus to travel the world and pursue his climbing goals.I want him to have a solid foundation that he can build from. Are you concerned about them staying connected to peers? Is this important, or do the gifts of their climbing adventures outweigh this? Poppo: At school, her school friends are very important. At the climbing gym, her friends she climbs with are very important. Even though she is very different, she is still a teenager so she likes to often have fun with them. Connie: I think it’s awesome that the kids are learning to be disciplined, work hard, and focus on reaching goals at such a young age. I also think that it’s important for Kai to be a kid. You are only a kid once in life, and one day he is going to miss his youthful days when he could rely on me to handle the big stuff while he focused on fun. For this reason, I initially focused a lot on protecting Kai from becoming too professional, and maintaining his “being a kid” status. More recently, I realize that Kai doesn’t really need my protection anymore. He is determined to integrate fun into most things that he does. He has learned how to turn it on and off. At times he acts very focused and he behaves like a true professional, an adult. However, when the activity is over, he finds his peers and enjoys hanging out with them and having fun. I am glad that he has found a way to balance the intensity of his sport and studies, with enjoying the incredible opportunities that he has been allowed to experience. What is the most valuable lesson your child has taught you? Poppo: There are so many things that my daughter has taught me. But what stands out most to me is when I realized she’s a genius in climbing. She showed me that she has this gift that can inspire others. 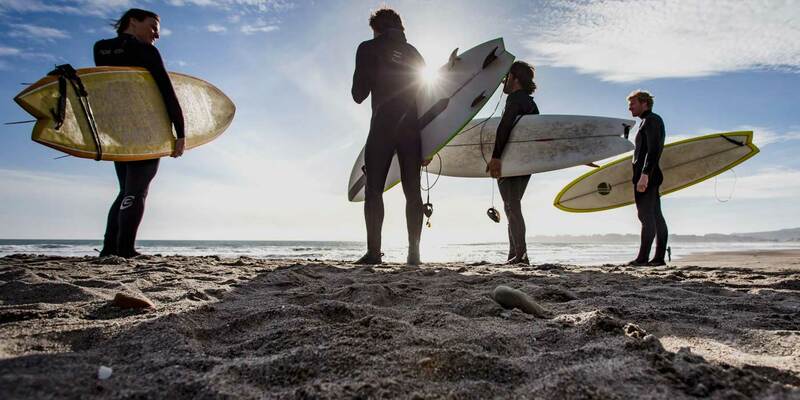 Connie: Kai’s music, food, and sport choices are much more diverse than I ever experienced. He has always been open to trying new things, even if other people found them to be weird or odd. He never really cared about what others thought, and if he liked something, he did it. Along the way, he has taught me to be more open-minded. Accompanying him on some of his journeys has often brought me way out of my comfort zone. Nonetheless, I have discovered a new world of incredible experiences that I never would have tried without him.